The old Between the Seats is probably never coming back. Random reviews of older films or new theatrical releases, marathons, those were very fun to write and publish but there’s a reason why they came to an end in early January of 2013. Other obligations have eaten far too much of my time to update this blog with the traditional content readers have come to expect on a movie blog. I already do that kind of stuff elsewhere, so I won’t be doing it here as well, notwithstanding some pretty exceptional circumstances. 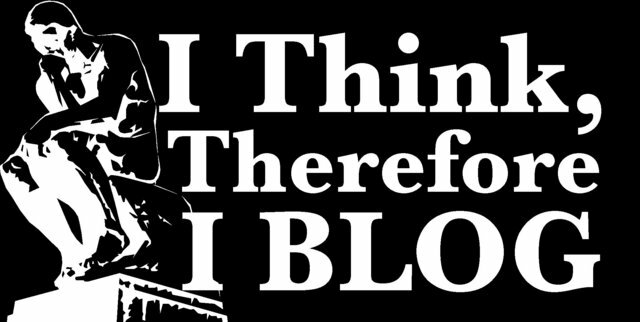 Hello fellow readers and bloggers! Some of you who occasionally visit the blog may be wondering why is it that no updates have been provided since last summer. That is indeed a very long stretch of time without any news and worthy information. For that I humbly apologize. Work, social life as well as the energy invested to be the best movie commenter I can possibly be for Sound on Sight have taken up the majority of my time, much of which used to be for writing fun articles for this little blog here. 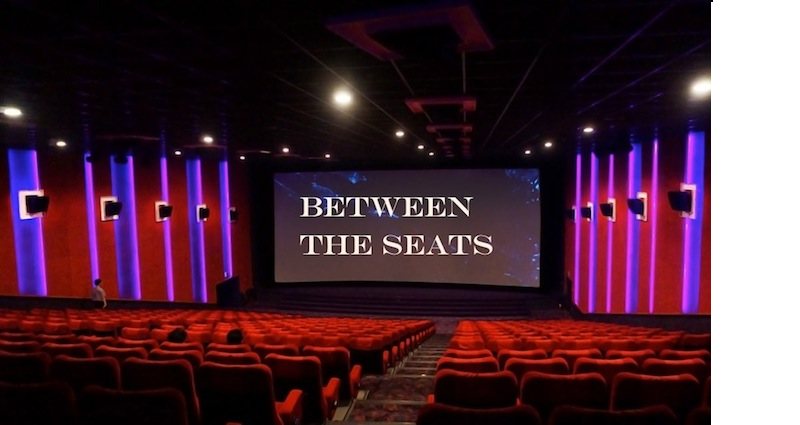 Between the Seats operated on a consistent basis for four years, from September 2008 to September 2012, delivering the best content feasible given my capacity for heading out to the multiplex, attending festivals and delving into an extensive DVD and Blu-Ray shelf to explore the gems of cinema's past. The story of how director Sam Raimi got his start in the filmmaking business is, understandably, well known amongst his own fan base, and is common knowledge even with the more casual fans. 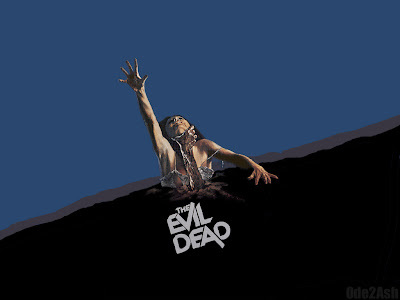 With less 400,000 dollars, himself, some friends and close colleagues, one of which was Bruce Campbell, who has been a consistent collaborator ever since even with regards to the Raimi films in which he has not starred, the upstart director headed down from Detroit to Tennessee to create what became known as The Evil Dead. Mixing classic horror tropes with some unexpected ingenuity, the film impressed many. Raimi's journey as a filmmaker experienced a tremendous upswing from that point onwards and things have never been the same. American director Sam Raimi, having made a solid name for himself for the better part of 30 years, is really something of an entrepreneur, a go-getter who makes his films happen despite either scepticism or lack of genuine funds. Despite his numerous successes, it seems as though his name shall never resonate among the wider movie going public or cinefile circles as strongly as, say, Steven Soderberg or Steven Spielberg. No, it unfortunately safe to assume that apart from his fanbase and well versed film buffs, his name is not one that shall be remembered vividly in cinema history. Yet considering his exploits as a filmmaker, it is mighty tempting to believe it should be otherwise. 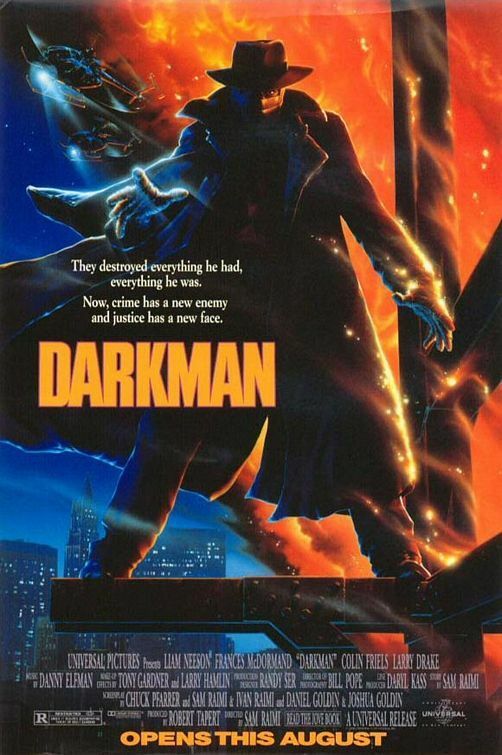 One need only look to his 1990 action movie Darkman, an endeavour resulting from his failed attempt at bringing a recognizable comic book property to the big screen (a feat he would accomplish some 12 years later). What would a creative mind opt for in the aftermath after such a bump in the road? Why, create his own super hero of course. 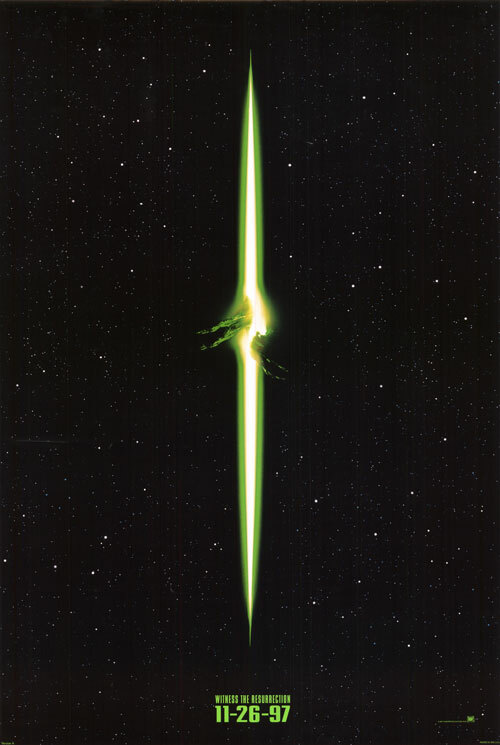 With the general review for the film currently under the microscope having the received sufficient praise for the efforts of the production designers and visual artists, it seems fitting that this supplemental article should concentrate more closely on the plot as well as the general ideas, thematic and character driven, which drive the film's core. Significant stretches of absence between instalments in a franchise can be a curse or a blessing. It may provide writers, directors, studios executives and all others involved in the creative process to sit back and digest what they have accomplished as well as what they still set out to do. Sometimes the decisions, despite plenty of time for a meditative process, dot not evolve into what audiences were hoping for. Ask the many embittered movies goers who waited anxiously for Kingdom of the Crystal Skull and Live Free or Die Hard. Science-fiction is a little bit different given that its very nature allows for some slightly loopier logic than in most other genres, therefore allowing the creators a wider canvas to take a series in different directions. The Alien franchise, as of the mid 00s, had devolved into a stale, pitiless shell of its former self. The AVP spinoffs virtually spelled doom and gloom for the once revered series which gave both sci-fi and horror a serious boost. 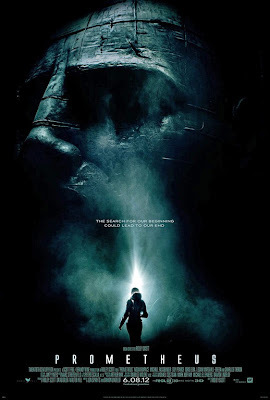 Along came Ridley Scott and screenwriters Damon Lindelof and Jon Spaihts in an attempt to revitalize it in ways fans were least expecting. It was written in the general review for the film how disappointing it was for the character of Ripley to return not as her true self, but as some of sort clone variation. It always seemed to me that 20th Century Fox, in wanting desperately to make another Alien film, were caught between a rock and a hard place. There is a threshold for everything, even plausibility. When discussing science-fiction and horror, it goes without saying that those two genres are far more permissive of out of the ordinary happenings. The sense of disbelief amongst the audience will sway towards acceptability and embrace the typically implausible, even logically impossible events that unfold. Even in those realms, some things are difficult to digest, especially when their purpose reeks of nefarious studio interference. The practice of implausibly making things happen for the sake of script and possible increase in profit at the box office can and is felt most particularly in franchises. The main thrust of a story, the smoking gun for the overall plot, can easily lose credibility in the eyes of many it it poorly masks a studio's attempt to cash in on a widely recognized property. 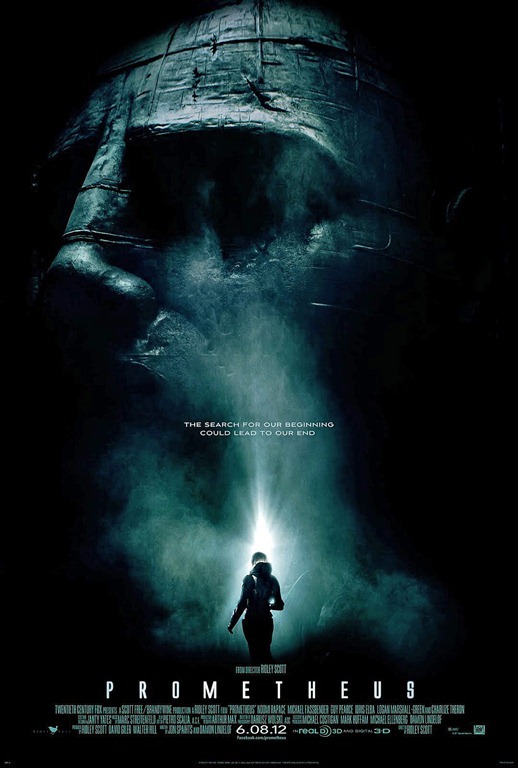 While unique French director Jean-Pierre Jeunet brings some unexpected flavours to the fold in the fourth instalment of the series currently under review, Alien Resurrection, there are some egregious missteps. 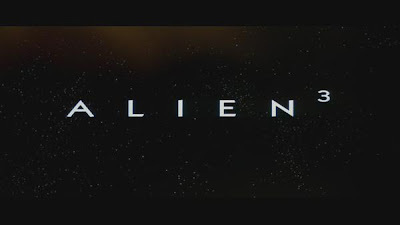 In the documentary about the making of Alien 3 in the blu-ray set (also available on the second disc of the Alien 3 special edition DVD for those interested), many cast and crew members who, while they cannot speak entirely for David Fincher, expressed the feeling that the up and coming director did his best to provide the picture with his own unique stamp, his own signature, much like his two predecessors had done with their respective efforts. This is, in all likelihood and with the benefit of hindsight provided by the man’s career since then, probably true. Fincher is not one to make movies quite like anybody else operating within the traditional Hollywood system. His films do not necessarily make bags upon bags money, even though most turn in modest profits, but the studios, big studios at that, continuously provide him the funds necessary to make the best movie he can. The man is a filmmaker in the artistic sense of the term, not merely in the commercial sense. For that reason, some of the decisions made with regards to the Alien 3 script may be better understood. That being said, it should also be noted that the script, or what can be described as a script, lived in a constant state of flux before and even during the film’s production. Excellence can continue for only so long. A new government is elected into office having made lofty promises during a brilliant campaign, only to lose the very next election. A sports team wins a few consecutive championships before finally meeting its match. A business will show profit during multiple quarters before forces either from within or without and beyond its control negatively affect output and revenue. A movie franchise can certainly deliver a few good entries but at some point, the law of diminishing returns will establish itself. All good things have an expiration date. 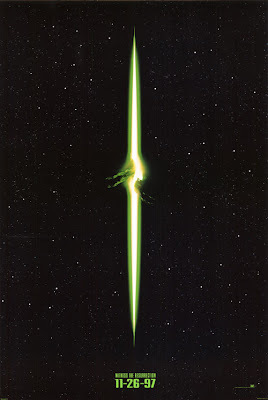 Having not been a serious movie fan 20 years ago in 1992, it is difficult to fully comprehend how meaningfully that notion resonated in May of that year when Alien 3 (or Alien 'cubed' as some call it) was released to fans worldwide...to incredulous disappointment. Suffice to say, the reception was a cold one. Much time has elapsed since then, and while Fincher's effort has not become a favourite, many take a kinder look to it now then upon its initial theatrical release. Sound on Sight: Film Noir! Search and you will find...hopefully.